As a 15-year-old adolescent, Ali Ayaz aspired to become a doctor. 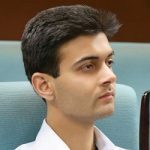 Like many young people in Pakistan, he had idolized doctors from a very young age which led him to believe that medicine was his true calling. It was his father who pulled him from the edge and encouraged him to opt for Computer Science. Today, he could not be more grateful. 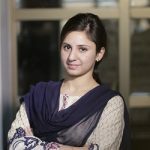 Ali took up Software Engineering at UMT Lahore and almost right away found a connection with programming. A few semesters into his course, he had already been developing mobile apps and games on his own. Hoping to make some money with his work, Ali took a loan from one of his friends for deploying his games on the Play Store. Unfortunately, nobody downloaded his apps. However, when the same apps were made free, little cash started rolling in but often got stuck in a transfer bottleneck. Ali also noticed that people generally don’t like ads because they lacked value. That is when he conceived the idea for TapInsta. Ali says TapInsta analyzes user behaviour and offers them moment-based advertising. It essentially means that brands can reach out to potential customers at particular moments during app-using experience and market their products of user’s interest. This creates a win-win situation for all including the user, the brand, and TapInsta. After launching TapInsta in May 2016, Ali got 7 publishers on board as partners. Currently, the app has over 400,000 active monthly users and is generating a revenue of PKR 0.5 Million per month. Lately, the startup has been negotiating with multiple brands to increase the scope of their apps. Next month they hope to partner with a global Ad Network which will surge their traffic to 35 million impressions in Pakistan. 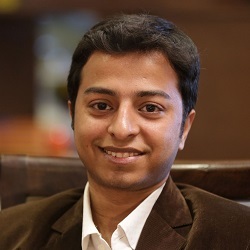 Working from a small office in Lahore, Ali Ayaz is an inspiring young man with remarkable potential and talents.